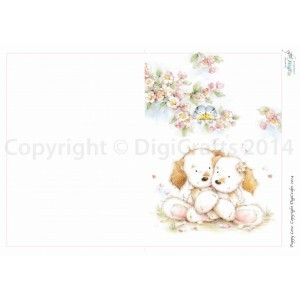 Available as download only- not on any disc! 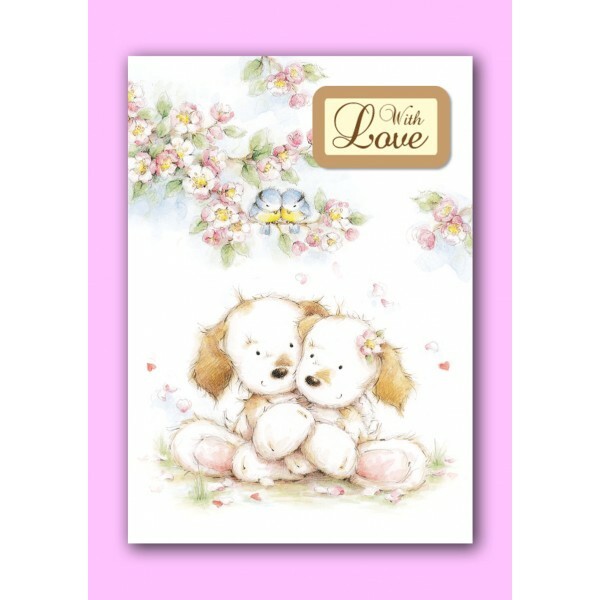 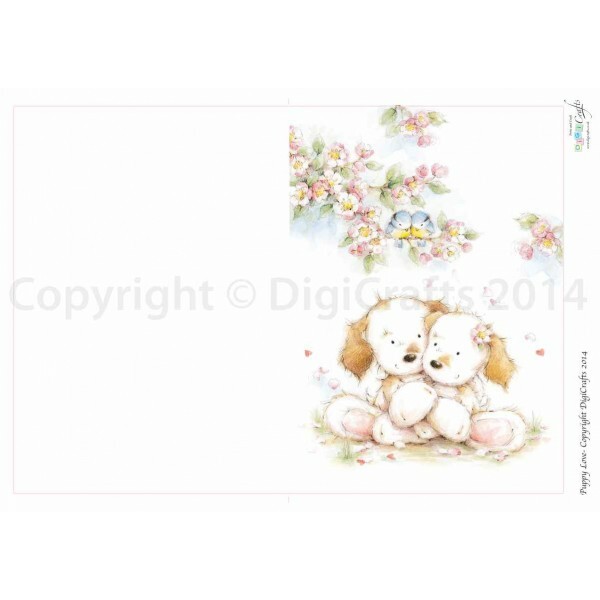 A fabulous decoupage card, featuring a beautifully illustrated cute puppy couple... creates a C5- sized card! 3 sheets, the card, insert and the decoupage bits.